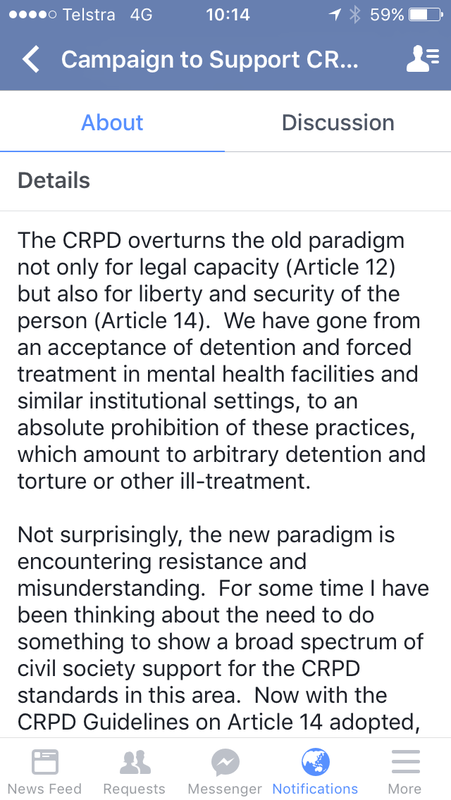 The CRPD overturns the old paradigm not only for legal capacity (Article 12) but also for liberty and security of the person (Article 14). We have gone from an acceptance of detention and forced treatment in mental health facilities and similar institutional settings, to an absolute prohibition of these practices, which amount to arbitrary detention and torture or other ill-treatment. Not surprisingly, the new paradigm is encountering resistance and misunderstanding. For some time I have been thinking about the need to do something to show a broad spectrum of civil society support for the CRPD standards in this area. Now with the CRPD Guidelines on Article 14 adopted, as well as the Basic Principles and Guidelines of the Working Group on Arbitrary Detention, which supports the CRPD standards, contrasting with the stance of the Subcommittee on Prevention of Torture and the Human Rights Committee which adhere to the old paradigm, it is a good time to act. 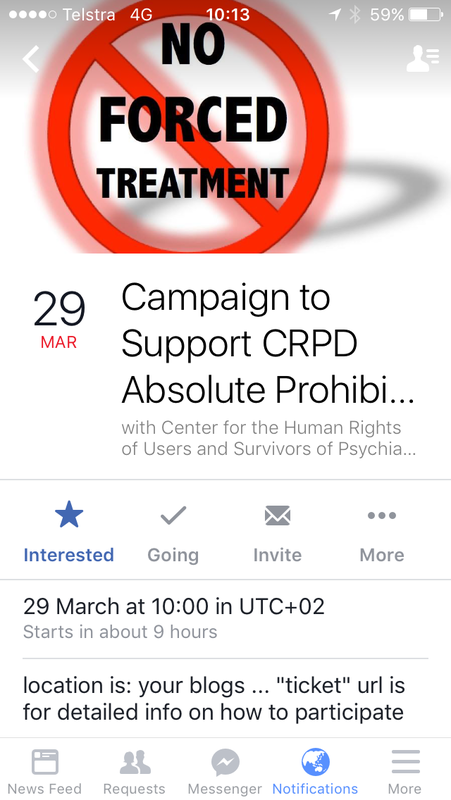 The Campaign to Support the CRPD Absolute Prohibition is open to everyone – survivors, service users, researchers, lawyers, service providers, academics, journalists, allies. Participants are asked to write from their own hearts and minds, what does this absolute prohibition mean to you? To people you love? Why do you fight for it, why are you supporting this campaign in solidarity with people who are or have been locked up and forcibly treated? Artists are also welcome to express themselves in their chosen medium. See website https://absoluteprohibition.wordpress.com for more details and ongoing updates. Updated info will also be posted here.